You need a budget. No seriously, you need, You Need A Budget! I’m not just talking about a budget made and followed each month depending on your income either (even though that’s what a budget is and is certainly part of it). I’m talking about the software, You Need A Budget, also dubbed YNAB. You see, after graduating college with $30,000 dollars in school loans, I quickly learned that budgeting was going to be essential for my being able to quickly pay off those loans. Thankfully due to living at home, taking on a second part time job, and of course budgeting, I’m almost halfway through completely paying off my loans. When I started budgeting though I was completely clueless. Inflows? Outflows? Balances? Budget Reports? Say what??? I confess, math and budgeting have never been my forte. I struggled with math academically while in school and would have anxiety attacks before my math classes. It wasn’t until I was in high school I was diagnosed with a mild learning disability in math! (No wonder I dreaded it!) Needless to say, when I started budgeting it was very, very simple. I think I had like 5 categories where I put money into each month. It worked though and it taught me the basics of budgeting. However, recently I realized that my budget needed some work and there were things I needed to be doing. If I was serious about paying off my loans (which I was) then I needed to get even more serious with my budget too. Last month I came across a Pinterest post on budgeting and discovered the software YNAB. It intrigued me. After using Excel for over a year I wondered if there was something to say for using a software instead. It seemed like a whole lot less work than what I was doing and way more effective. Plus, there was a free 34 day trial where I could easily take YNAB for a spin. If I didn’t like it, then no worries! I wasn’t going to be charged anything at the end of the trial run. Turns out I didn’t need a full month to make my decision. YNAB rocked my world, taught me more about what it takes to make a good budget, and dare I say it (? ), it actually made budgeting fun!! Yes, the girl who used to dread math class and panic during tests now loves to budget; and I don’t break a sweat about it either! 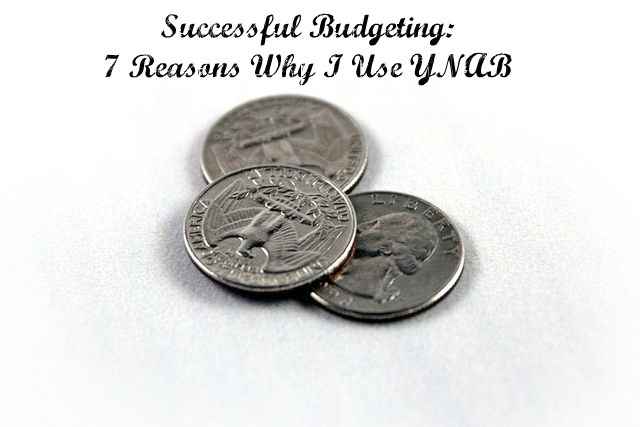 So here are the top seven reasons why I use the software YNAB. 2. YNAB comes with categories set up for you! This was huge for me. Like I said before, when I first started budgeting, I had about five basic categories. I didn’t know what a masterful, well laid out budget looked like. Thanks to YNAB now I know. 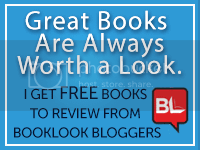 You don’t have this daunting task of setting up each category, although you certainly can delete, add or change up the categories in whatever way you’d like. 3. YNAB has a fun, simple, clean layout that makes budgeting a blast. There’s something about signing into my YNAB account each time I need to update my budget and seeing a colorful, crisp looking site. It takes the drudgery out of budgeting and adds a bit of spice to the task! 5. YNAB’s methodology sets you up for successful budgeting. The four basic rules of YNAB make perfect sense and allow enough wiggle room that you don’t feel like a failure if you over budget or borrow money from separate categories. This has been such a blessing as I like to have wiggle room in my budget. 6. YNAB stresses the importance of saving. Rule number four of YNAB’s method, Save for a Rainy Day, has given me a whole new perspective on what saving actually looks like. By setting aside a chunk of money each month for a vacation, car repairs and other emergency funds, I now feel confident to take charge of things that used to seem insurmountable (like saving a for a car)! 7. YNAB has a free app for your phone!! That’s right! You can now take your budget with you wherever you go. Out shopping with friends? Don’t know if you have any money leftover in your fun money category? No worries! You can easily access your YNAB account from your phone and then plug in your purchases as you shop! Now that’s what I call being on top of your budget! There are so many reasons why budgeting in general is such an important thing to do. By being good stewards of God’s resources we can then maximize our generosity towards others, be responsible for the money we’ve been blessed with, and build for ourselves a rock solid budget that will help get us through our times of need and of plenty. While God is ultimately our sole Provider, He doesn’t want us to bury our heads in the sand and not be responsible for the money we’ve been given. YNAB has been a tool in which has helped me to do just that. I encourage you to give YNAB a try and seriously consider investing in this software. You’ll be glad that you did! « A Wilderness Decade: What is My Calling?